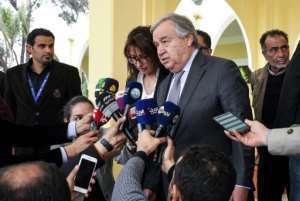 Libya forces loyal to commander Khalifa Haftar clashed with pro-government fighters south of Tripoli Friday, after UN chief Antonio Guterres sought to avoid a flare-up at talks with the strongman. Haftar on Thursday launched an offensive to take the capital, held by a UN-backed unity government and an array of militias. The lightning assault was met with international appeals for restraint and the UN Security Council was holding an emergency meeting. Guterres met Haftar in the eastern city of Benghazi at the end of a visit to the chaos-hit country, but neither his self-proclaimed Libyan National Army nor the UN gave details of the talks. "I leave Libya with a deep concern and a heavy heart," Guterres said in a statement. 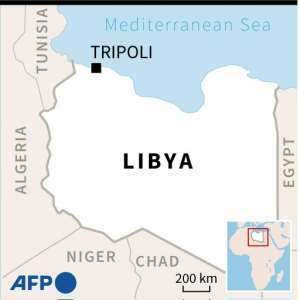 "I still hope it will be possible to avoid a bloody confrontation in Tripoli." Shortly afterwards, LNA forces clashed with a pro-government alliance less than 50 kilometres (30 miles) south of the capital, a unity government source said. Haftar's press office confirmed there had been "violent fighting on the edge of Tripoli with armed militias". LNA forces briefly took over the ruins of a destroyed airport but were driven out by fighters from the capital, government interior minister Fathi Bachagha told Libya's Al-Ahrar television station. "The fighting is currently taking place in the Gasr Ben Ghechir region" south of the airport, he said. LNA spokesman Ahmad al-Mesmari said five fighters from his group had been killed in clashes over the past 24 hours, but insisted that it had made "an important step forward". Earlier in the day LNA forces were pushed back from a key checkpoint less than 30 kilometres from the capital, checking their offensive. Most of the pro-Haftar fighters who briefly captured the checkpoint late on Thursday were rival militiamen from the town of Sabratha, further west along the Mediterranean coast. 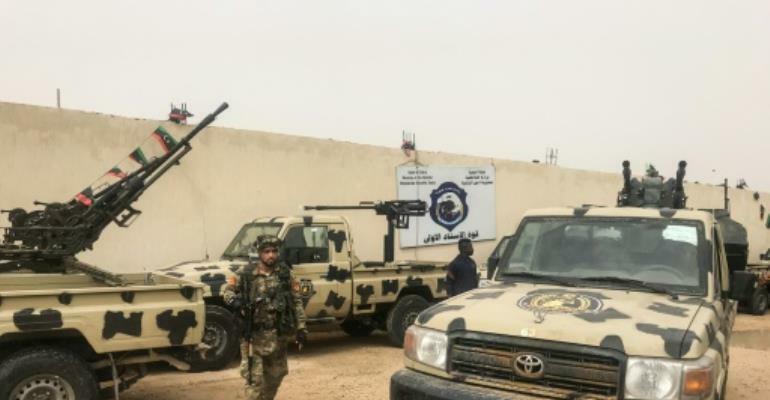 A convoy of vehicles from Haftar's forces on Thursday pushed towards the city of Gharyan, some 100 kilometres south of Tripoli on Thursday, witnesses and military sources said. Haftar said "the time has come" to take Tripoli in an audio message released on Thursday, pledging to spare civilians and "state institutions". 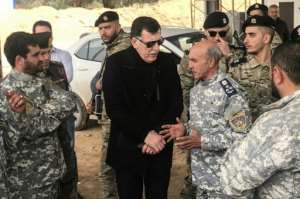 Sarraj condemned the strongman's "escalation" and said he had ordered loyalist forces to prepare to "face all threats". The announcement of the offensive came as Guterres was in Tripoli for talks with Sarraj ahead of a planned conference later this month on organising elections. UN spokesman Stephane Dujarric said that despite the flare-up preparations were continuing for the April conference. Russia called for "all possible efforts to fully resolve the situation with peaceful political means". "We believe that the main thing is for any actions not to lead to renewed bloodshed," Kremlin spokesman Dmitry Peskov told reporters. "The risk of a flare-up has increased," said Jalel Harchaoui, a researcher at Clingendael Institute in The Hague. "Capturing Tripoli... remains a possibility" for Haftar, with the support he receives from Saudi Arabia and its allies Egypt and the United Arab Emirates, he said. Haftar held talks in Riyadh late last month and his forces have reportedly received major arms deliveries from the UAE, including aircraft, despite a UN embargo. They already overran most of the remote oil fields and oasis cities of the desert south during an offensive earlier this year. The government's writ is now largely confined to the narrow coastal strip around Tripoli and third city Misrata to its east.